Cellulite is the dimpling of the skin that often occurs on the thighs, hips, and buttocks as a result of connective fibers pulling down on the skin. The appearance of cellulite is extremely common, especially, in adult women and can cause self-consciousness and undermine an individual’s body confidence. It can also be extremely frustrating, as it is resistant to diet changes and exercise. There are many treatments marketed as anti-cellulite solutions, but the vast majority of these treatments are limited in scope. Topical creams, “fat-busting” exercises and massage treatments may improve symptoms temporarily, but only Cellulaze effectively targets the root causes of cellulite. At the Advanced Body Sculpting Institute, we specialize in providing tailored anatomy, and fat sculpting using the most advanced, scientifically-backed technologies. In our experience, Cellulaze is the apex when it comes to cellulite reduction and achieving smooth, youthful skin around the thighs and buttocks. 2 How Does Cellulaze Work? While a great deal of research indicates that genetics play a big part in whether or not an individual develops cellulite, there are other causes such as a lack of physical exercise, slow metabolism, skin thickness, an excess of fatty tissue, natural skin aging, and hormonal factors. Men are also known to also develop cellulite, but generally, women are more vulnerable. This is most likely due to the fact that the female body develops more subcutaneous fat than men, especially around the hips and thighs. Women also produce less estrogen as they age, which hinders blood flow and circulation, which are essential to long-term skin elasticity. Cellulite is one of the most visible and frustrating types of body tissue to remove, and it affects over 80% of women around the world. Cellulite is formed when pockets of subcutaneous fat are separated by tissue that connects the muscle and skin. This tissue can harden over time, creating the dimpled appearance that we now call “cellulite.” The underlying structure of this hardened tissue cannot be entirely removed by exercise and diet and must be specifically targeted. Cellulite formation can be affected by a wide number of variables, including genetics, skin thickness, hormonal balance, gender, body fat distribution, and more. Cellulaze is an FDA-approved, minimally-invasive treatment for cellulite, developed by industry leaders in cellulite treatment, Cynosure. Cellulaze combats cellulite at its root structures, treating the fibrous tissue bands just below the surface of the skin. Cellulaze also improves skin quality by increases the natural thickness of your skin, minimizing the appearance of cellulite. Because it addresses the structural issues at the root of cellulite, it is considered to be a permanent or near-permanent solution. It can also be paired with other body contouring procedures in order to enhance your results, which can be discussed during your consultation. The treated area is first mapped and a local anesthetic is injected to ensure the patient is comfortable for the duration of the treatment. A thin, laser probe is then inserted underneath the skin. The specialized Cellulaze laser heats and melts the unsightly lumpy pockets of fat just below the surface of the skin and cut through the fibrous bands that cause depressions on the surface of the skin. Because these fibrous bands are what pull on the skin and cause the “cottage cheese” look of cellulite, the treatment is effective in making the skin look more taut and smooth. As an added benefit, the heating of your skin encourages your body’s natural collagen growth, and this helps the skin become thicker and more elastic. Skin creams can be effective when applied with fervor and on a consistent basis, but the effects are not permanent. That’s because the main ingredient in most of these creams is caffeine. Topical creams achieve results by shrinking skin cells by dehydrating them. They can function as a good temporary option, however, these effects won’t be sustained beyond a period of a few days at most. Retinol is another product that some mistakenly tout as a cellulite fix but, again, this is only a Band-Aid solution, as results are not permanent. It works temporarily by thickening skin. Cellulaze offers more permanent results that satisfy its patients. Alternatively, a procedure like liposuction will rid the body of extra fat, but there could still be dimpling due to the fibrous bands remaining intact. With perhaps the exception of VASER and Smartlipo, traditional liposuction treatments will not address the symptoms of cellulite. In some instances, liposuction can cause the appearance of cellulite to worsen since many commonly used liposuction practices cannot address subcutaneous fat. Anyone with unsightly dimpling on the hips, thighs, or buttocks is a candidate for Cellulaze, as long as they are in good overall health. Adults who are within reasonable range of their ideal weight and have struggled to find an effective, long-term solution to cellulite are strong candidates for Cellulaze treatment. Another benefit of Cellulaze is that preparation is minimal. We ask that you cease taking any anti-inflammatory medicine and/or herbal supplements two weeks before the treatment. Any instructions based on your own personal medicine history will be discussed during your consultation. 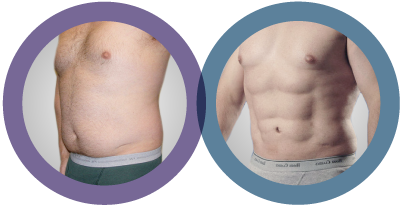 The consultation is a personalized meeting between you and one of our highly-trained ABS staff where the goal is to discuss the best way to accomplish your aesthetic goals. Institute will evaluate whether you have cellulite for certain or whether you might have excess fat pockets that may be better addressed with a fat removal procedure. In order to do this, we will perform a thorough examination to assess the cellulite divots and your overall skin quality. 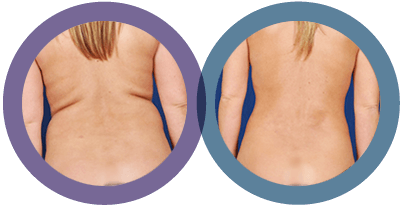 Once we has determined you are a good candidate for Cellulaze, you’ll be shown before and after photos of previous patients with similar dimpling to yours who have had the procedure done. Results vary but this should at least give you a good idea of what you can expect. 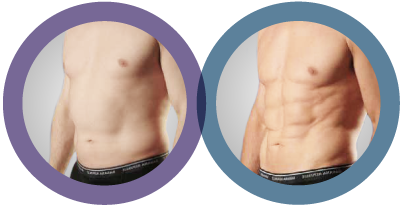 The staff at ABS Institute will arm you with all the necessary details on how the procedure is performed, any possible side effects or risks, how to prepare, and how to best recover. Of course, you are encouraged to ask any questions you have. The procedure generally takes about 1-1.5 hours, including the time to administer local anesthesia. You will be awake during the process. Tiny incisions will be made in the spots previously indicated with a marker that is predetermined during your consultation. He will then insert the small, pen-shaped cannula underneath the skin, allowing the laser fiber to be fed through. Fat is liquefied, the connective fibers are released, and collagen layer is stimulated. Once this step is finished, and you will be sent home with a compression garment to aid in healing. Although you will notice an immediate difference in the smoothness of your skin, you can expect to see your full results in 6-12 weeks post-procedure. We will ask that you wear the compression garment for a brief period of time during your recovery to help with swelling and to promote enhanced body contouring. You won’t have to put your life on hold, though, as this is a minimally invasive treatment. In fact, most patients are able to resume normal activities within a day or two, and more strenuous activities after 1-2 weeks. Some bruising and discomfort is expected but will subside quickly. Any surgical marks from the incisions will also fade over time, varying on the individual’s body. The cost of your Cellulaze treatment will vary based on your unique presenting issues and the number of areas treated for cellulite reduction. After sharing your goals during your consultation and coming up with a treatment plan, you will be given a price quote for the procedure. Don’t wait another day to experience the skin smoothing benefits of Cellulaze. Call our office to schedule a consultation today.